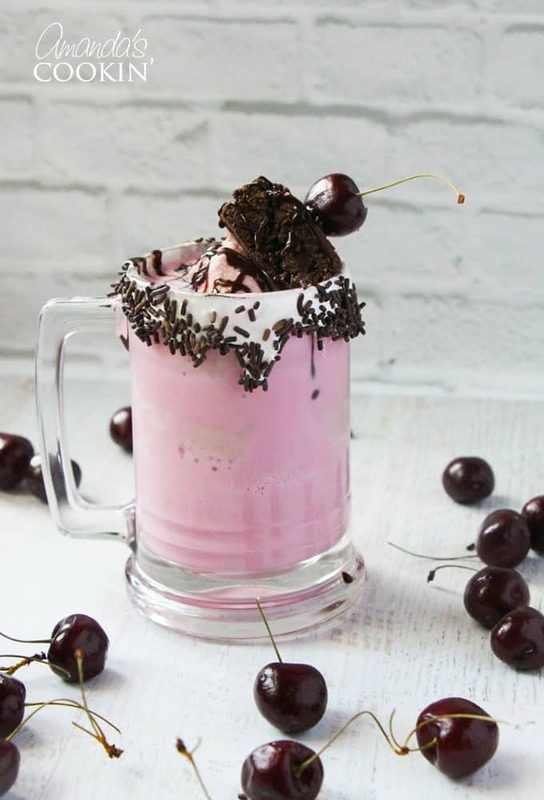 Have you heard of the extreme milkshakes known as freakshakes that are taking the Internet by storm? 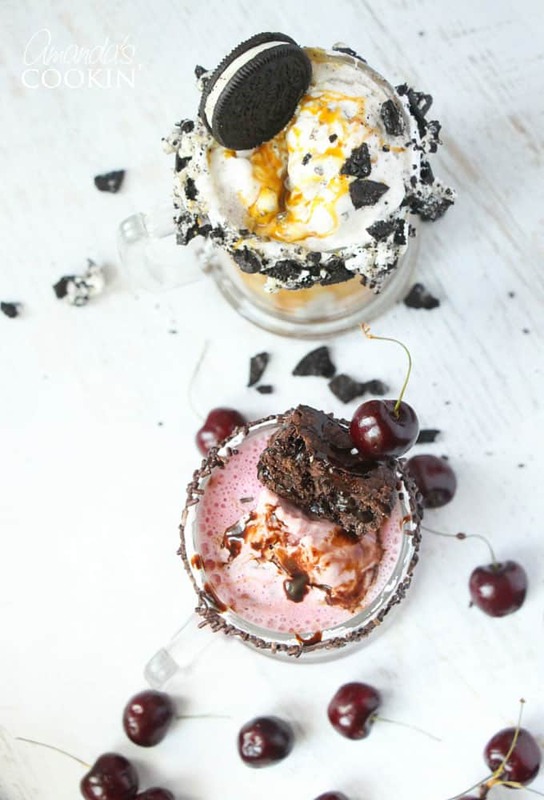 They are basically insane, over-the-top, extreme milkshakes that are essentially two or three desserts in one. 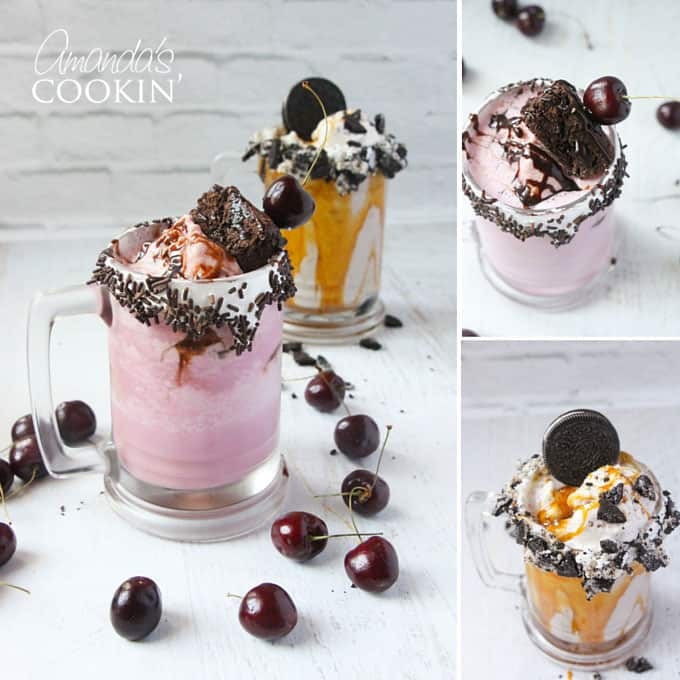 At first I was a bit intimidated by them, but when I wanted to come up with something fun for my family to celebrate National Ice Cream Month with – I knew freakshakes were the way to go! For these freakshakes, I went with my family’s favorite ice creams – Kemp’s Cherry Fudge Chunk and Kemp’s Double Caramel Cookie Crunch. 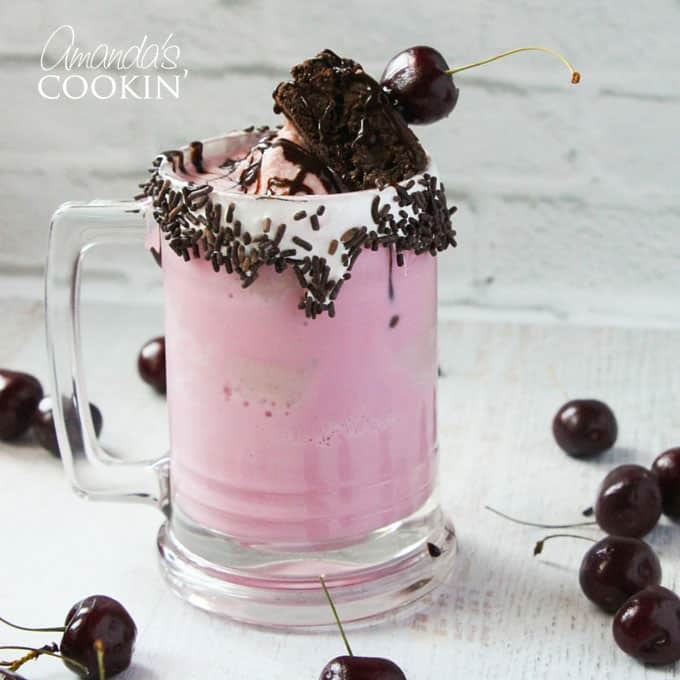 They are creamy and indulgent on their own, so I knew they’d make the perfect base for our freakshakes. Plus, all the brainstorming was done for me since the flavors are so over-the-top already! 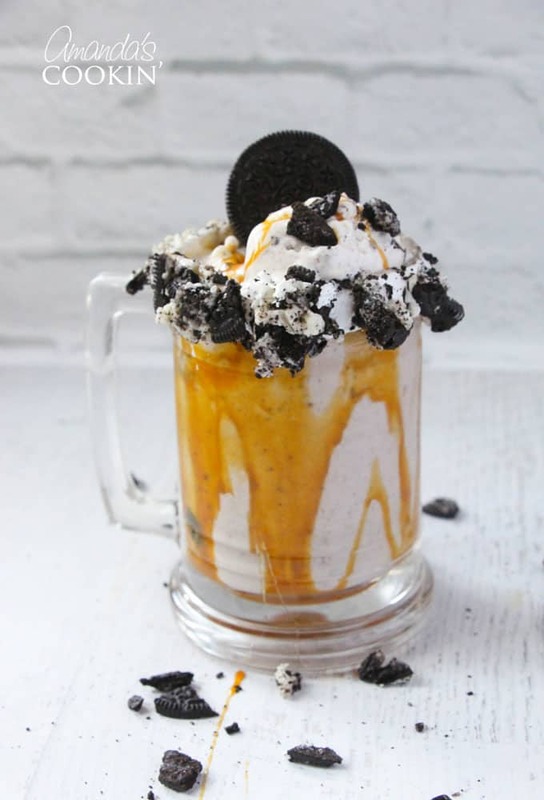 Would you just look at those shakes? There is nothing freaky about how insanely delicious they look – I’m already craving another. 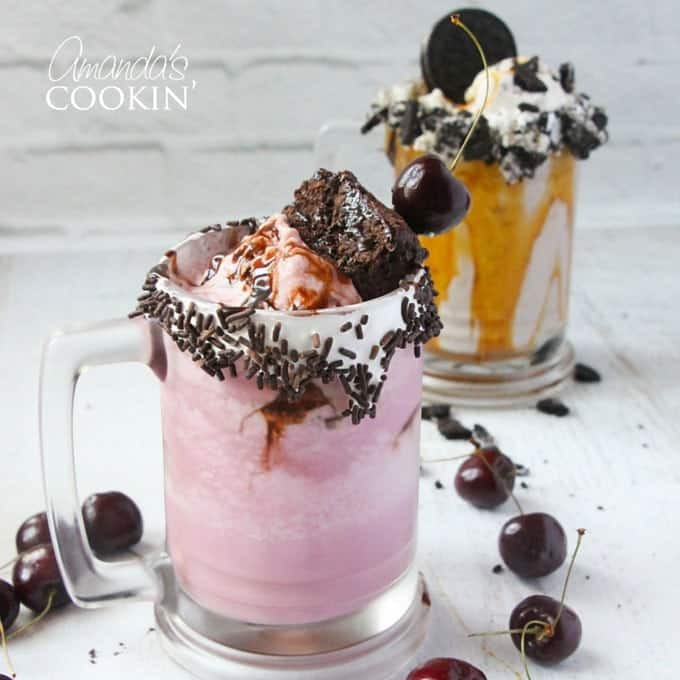 If one of these freakshakes is too much for you, that’s a perfect opportunity to share with a loved one. Blend 4 cups of the ice cream with 1/2 cup of milk, adding more milk to reach your desired milkshake consistency. Using a spoon, brush the marshmallow creme onto the edge of your serving glass and then dip into the sprinkles. Pour the milkshake into the glass and then add the additional scoop on top. 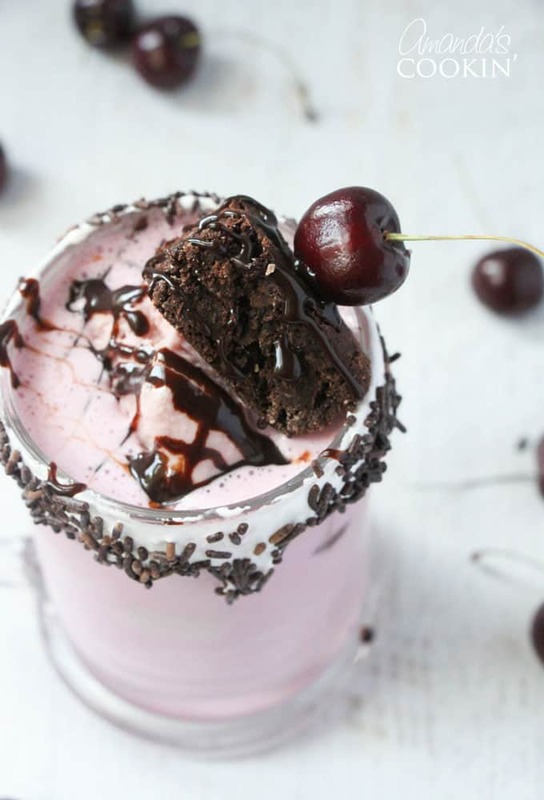 Using a toothpick, skewer the cherry onto the brownie and set on top of the ice cream. Drizzle with the chocolate and enjoy immediately. Crush two of the sandwich cookies, either with your hands or by placing in a bag and rolling over them with a rolling pin. Using a spoon, brush the marshmallow creme onto the edge of your serving glass and then dip into the crushed cookies. Nestle in that final sandwich cookie and drizzle with caramel. As a special treat to help you enjoy National Ice Cream Month with your family, I’m giving away five $5 coupons for Kemp’s Ice Cream. 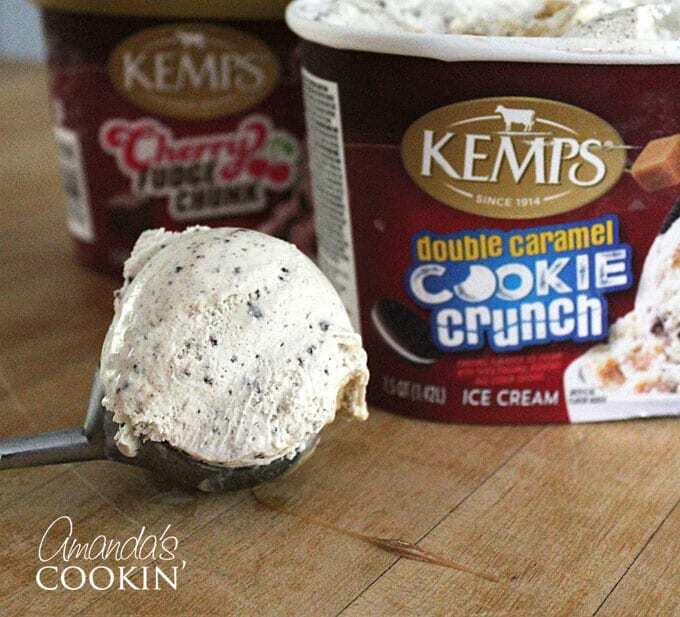 To qualify for your chance to win, leave me a blog post comment telling me your family’s favorite Kemp’s Ice Cream Flavor – they have over 40 of them! 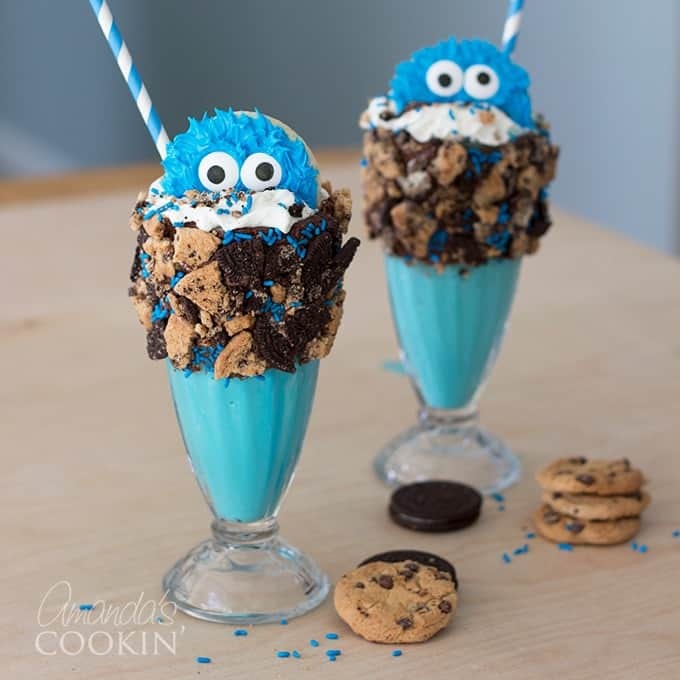 Don’t miss our Cookie Monster Freakshakes for another fun, and surprisingly easy milkshake idea! 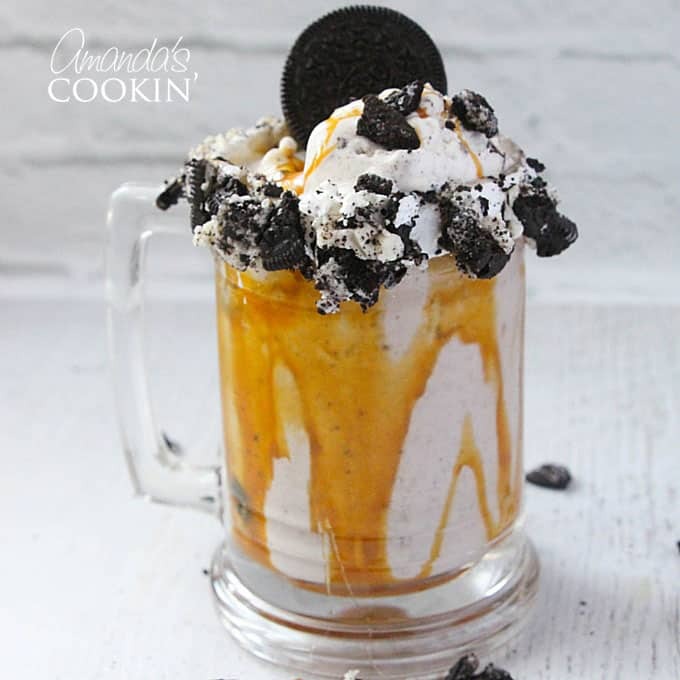 Make sure to pin these Freakshake recipes for your next family ice cream night! 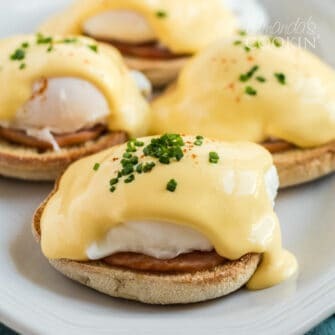 Jennifer loves sharing positive parenting inspiration, easy recipes for the foodie family, and fun kids’ activity ideas. Her goal is to provide a safe space for busy moms to come find great resources and reliable ideas to help you & your family thrive. I have never had Kemp’s ice cream but that cherry chocolate chunk looks amazing. Love cherries and chocolate! Perfect combination. It’s so good! Kemps is made in Milwaukee and currently only available in Wisconsin and Michigan I believe. If you ever get out this way, be sure to try some! I really enjoy Moose Tracks. Thanks for this post and giveaway. 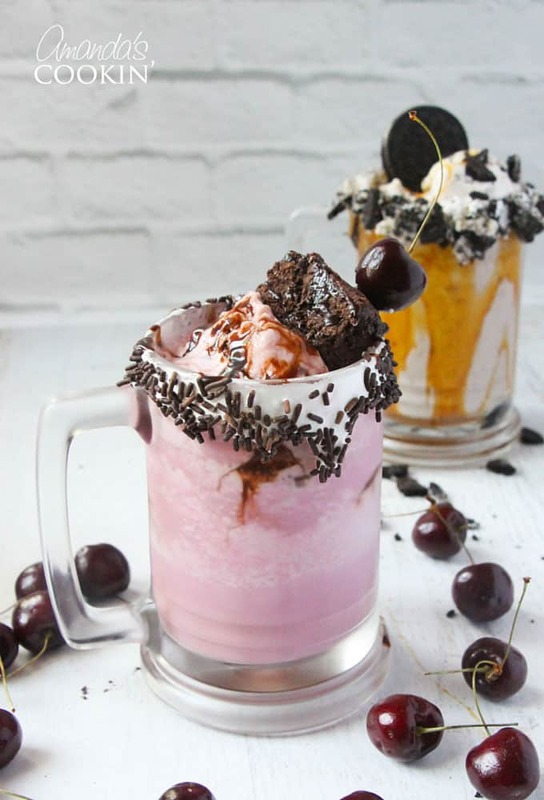 These milkshakes look wonderful! Sign me up for Amanda's newsletter, Foodie in the Craft Room for free recipe and craft ideas!